On Saturday, December 2nd, Deeds Not Words - a young women's advocacy training organization - hosted #DeedsFest using a DipJar to sell T-Shirts! Founded by former Texas State Senator Wendy Davis, Deeds Not Words is a starting point for turning ideas about women’s equality into action. This organization provides the tools to make changes within the local community – like sample letters for legislators, toolkits, and a community where you can share stories and get advice. Deeds Fest united Austin's art and advocacy communities for a benefit music festival that showcased the work of local artists and opportunities to take action. This incredible event was co-hosted by international design firm Pentagram and took place at the Lewis Carnegie design studio. 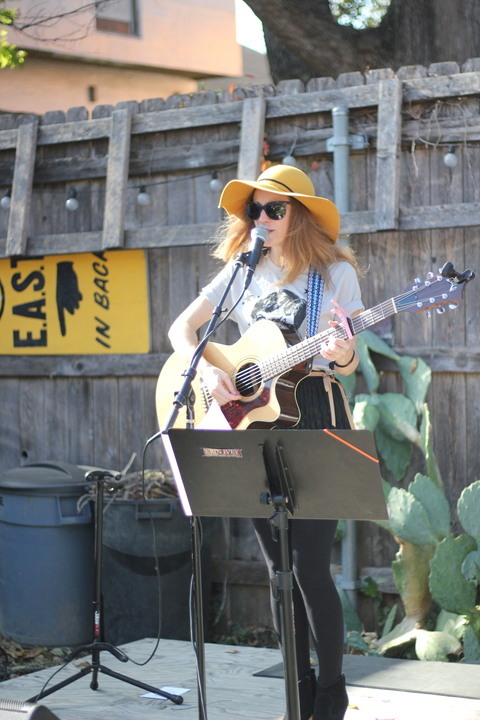 Over 150 visitors spent the afternoon in the sun enjoying music by local, women artists interspersed with speeches by community activists in the spirit of the benefit. Local printers, Industry Print Shop, donated tee-shirts which were silk-screened on site. 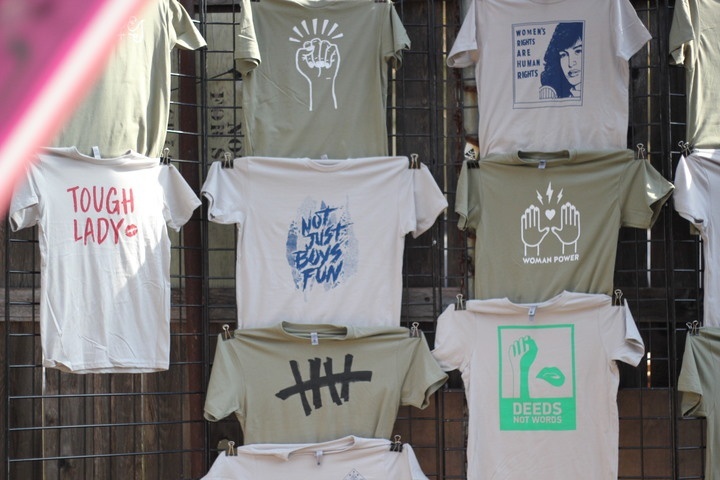 Buyers could choose from twenty different Deeds Not Words mission inspired feminist shirts, which were gifted by local artists from Pentagram and Lew Carnegie. This was Deed’s suggested from of donation of the day and DipJar helped along the way! Dipjar made the donations easier/expedited the process to just have to dip once per shirt. This tee-shirt station was a HUGE success, and raised almost $3,500 for the recipient nonprofit! The day would not have been possible had it not been for amazing contributions from local businesses, artists, activists, and community members coming together for what they believe in- and DipJar facilitating the T-Shirt purchases!